As the cost of health care continues to rise year after year, how have these added expenses affected employee benefit plans? They’ve had a huge impact. According to the Henry J. Kaiser Foundation’s 2015 Employer Health Benefits Survey, the amount workers have contributed to their health plans has gone up 83% in the past 10 years as the overall premium cost has increased by 61%. 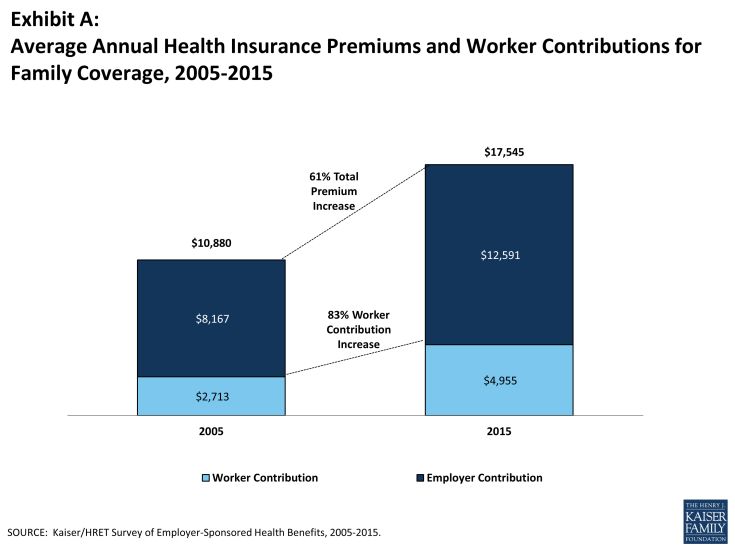 Plan premiums that once cost workers an average of $2,713 annually in 2005 ($226 per month) now cost them $4,955 a year in 2015 ($413 per month). The study takes all types of health plans into account, but the reality is that these price hikes are not nearly as common among self-funded plans. That’s because self-funding offers more control as well as added flexibility and savings. Employers are able to keep health claim costs in check with more thorough review and scrutiny, and any money saved stays with the employee benefit plan instead of going toward excess insurance fees and commissions. The ultimate result? Reducing overall health plan costs and minimizing rate increases over time.